Central Carolina Scale provides scale repair services, routine scale maintenance and calibration to hundreds of customers in the Burlington, NC area. We offer high quality Rice Lake Survivor Truck Scales, Cardinal Detecto Medical Scales and legendary Scale Service, Repairs and Calibration services to the central part of North Carolina in Alamance County. Alamance County was formed in 1849 from part of Orange County. Alamance County has been the site of significant historical events, textiles, manufacturing, and agriculture in North Carolina over the years. The county is about an hour or so northwest of our headquarters in Sanford. Central Carolina Scale services and repairs Rice Lake, A&D, CAS, Intercomp, Pennsylvania, Salter Brecknell, Doran Scales for Alamance County customers. Our concentrated presence in the state of North Carolina along with our huge stock of spare parts and Rice Lake load cells allows us to provide highly competitive pricing and fast service. Occupants in the 27215 zip code along with 27253, 27244, and 27302 are normally repeat customers of ours. This includes customers in locations like Alamance, Burlington, Elon aka Elon College, Gibsonville, Graham, Green Level, Haw River, Mebane, Swepsonville, Altamahaw, Bellemont, Eli Whitney, Glencoe, Glen Raven, Mt. Hermon, Saxapahaw, Snow Camp, and Woodlawn. You'll often see our service trucks traveling on Interstate 40, Highway 87, Highway 49 and others in this area as we drive to customers in the triad area of North Carolina. Call us at (919) 776-7737. Local Scale Repair - Durham, NCScale Repair Service for Durham, NC is what we've done for over three decades. If your Digital Balance breaks we can fix it. 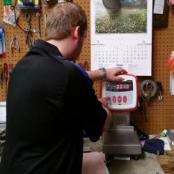 When your scale needs to be calibrated, we can handle that efficiently with NIST traceable standards. Local Scale Repair - Chapel Hill, NCScale Repair Service for Chapel Hill, NC is what we've done for over three decades. If your Digital Balance in Mebane breaks we can fix it. 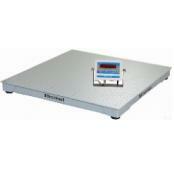 When your scale needs to be calibrated, we can handle that efficiently. Local Scale Repair - Pittsboro, NCWe've repaired scales in Pittsboro, Siler City and surrounding areas in North Carolina for over 30 years. 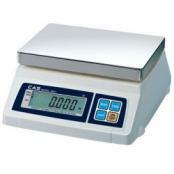 If your Digital balance or scale breaks we can test and adjust its accuracy. 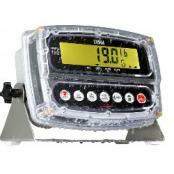 When your scale needs calibration, we can handle that efficiently. Local Scale Repair - Asheboro, NCScale Repairs and calibration for customers down US 64 in Asheboro, NC is what we handle. 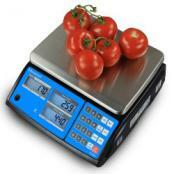 If your Lab Balance needs some help we can calibrate it. 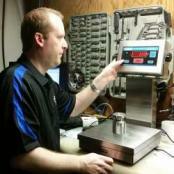 When your industrial scale needs calibrating, we can handle that promptly.